Managing a tutoring company can be stressful if you have clients who have a habit of paying late. A great way to increase the amount of early payments, is by making the payment process as easy and efficient as possible for your clients. Here are a few more ways to simplify invoicing and encourage your clients to pay on time each time. When it comes to effective invoicing, consistency is key. If your client receives an invoice that includes lessons from long ago (because you forgot to add it to their previous invoices), they might get confused and put the invoice aside to worry about later on. Find an invoicing method that works well for you and that is easy to manage to ensure that you’re always on top of billing. Offer different payment options to make it as easy and convenient as possible for your clients to pay you for your tutoring services. Having their preferred payment method available will make them less hesitant to pay on time. Teachworks offers a full Stripe integration that simplifies credit card payments. Your clients pay directly from their invoices by clicking on the “Pay Online” button on their invoice. They can store different credit cards on their Teachworks profile and easily select the relevant card when paying. The integration also allows you to charge credit cards on behalf of your customers, making it even more convenient for them. Having control over when cards are charged will enable you to collect payment at the right time. Using the bulk invoice payments feature, will allow you to collect payment in bulk. If you offer other payment options, such as paying in cash or paying by direct deposit, you can easily record these payments in Teachworks. Payments can be captured before or after an invoice is created. Make it as easy as possible for clients to understand their invoices to ensure that they know exactly what they’re getting billed for. Avoid using jargon or complex codes that have meaning to you, but not to your client. Instead, include descriptive service names such as “English Tutoring” or “Advanced Math Classes”. Include additional instructions if there are any and opt for a clean layout that reads easily. If you’re not already invoicing online, it is time to take the leap and get online. The benefits are endless and you are more likely to be paid on time if your clients can easily access their account balances and invoices online. Teachworks offers flexible invoices to ensure that your business needs are met. You can create a single invoice or multiple invoices at once. You can also automate the process completely with our Invoice Autopilot add-on. Clients can simply login to their accounts to access their billing information at a time that’s convenient to them. An “unpaid” filter allows you to easily see which clients still owe money, and you can quickly and efficiently follow up with them (past-due invoice due dates are marked in red). Once payment is received and recorded, you can send out a “Payment Received” email. This email template is completely customizable, and you can include a heartfelt thank you message to show your appreciation when people pay on time. While it’s convenient to have invoices available online, some clients might prefer a hardcopy. We’ve recently added a new feature that allows you to view multiple invoices at once (up to 40 at a time). You can use your browser’s print settings to print invoices in bulk and save a lot of time in the process. To find this feature, click on the Billing tab and then click on Invoices. You will see a new “Print View” link in the sidebar. A logo looks professional and it allows your clients to know who the invoice is from at a simple glance. If it’s difficult to find more information about who they need to pay, they will likely put it aside to deal with later. To add a logo to Teachworks invoices, you can upload your company logo in your account settings. You can also add your company address, email address and contact numbers to make it easy for clients to get in touch if they have any questions about their invoice. If non-payment seems to be a trend, you may want to consider invoicing upfront. Teachworks offers a range of billing options and all of them allow you to invoice your clients upfront. Service list price: If you use this billing method, you can add future lessons in the calendar and bill for these by adjusting the date range when creating invoices. Set on student’s profile: With this billing method, lesson costs assigned to student profiles are set when lessons are added to the calendar. If you use this billing method, you can bill for future lessons by first scheduling them in the calendar and then adjusting the date range when creating invoices. Flat fee: If you bill your clients for a set amount regardless of the lessons taken over a period of time, you are likely using the flat fee billing method. With this billing method, you can invoice your clients upfront and only start scheduling lessons once they’ve paid. Package: The package billing method allows you to bill your clients upfront for a package of lessons. These lessons can be scheduled at any time and when package balances are running low, you can simply bill your client for more package lessons. In the account settings, you can select the option to only make package lessons available once an invoice is marked as paid. 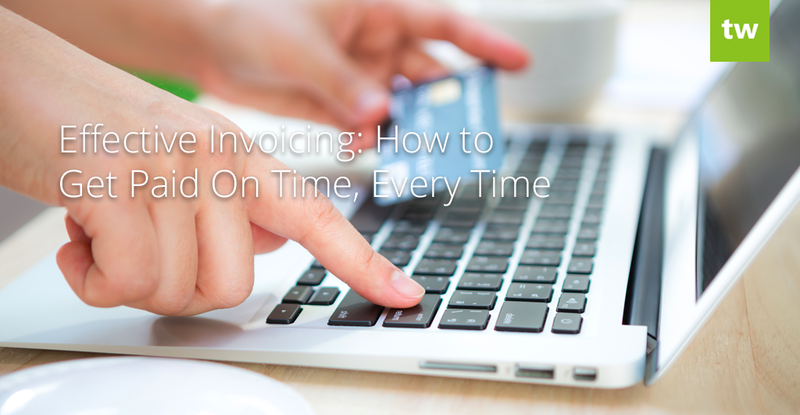 Life can get busy sometimes and even your most diligent clients may forget to pay an invoice. In these situations, you may want to send a reminder email. In Teachworks you can automate this process by sending overdue invoice reminders to your clients. These reminders are sent on the day that the invoice is due. The template can be customized and you can easily disable/enable this setting in your account settings. We are continuously tweaking the system and adding improvements to further simplify the billing process. If you have any great ideas to improve invoicing, please let us know on our feature suggestions forum. « User Time Zones Add-on And More New Updates!